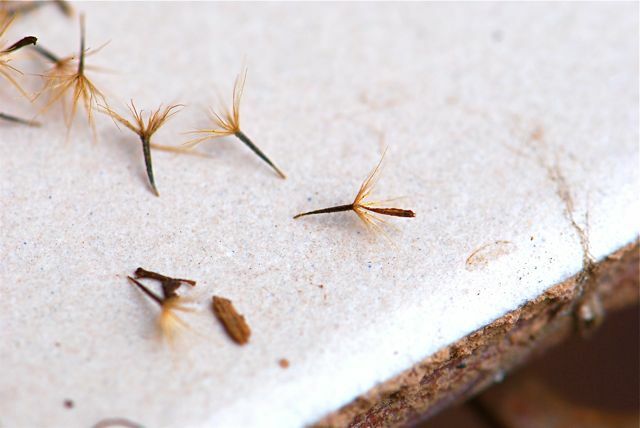 What were these seeds with parachutes from last week's mystery seed? 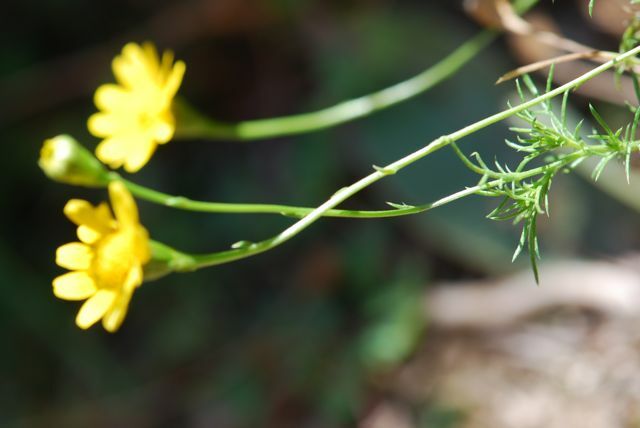 The seeds come from plants commonly called golden dyssodia or golden fleece, belonging to the genus Thymophylla. 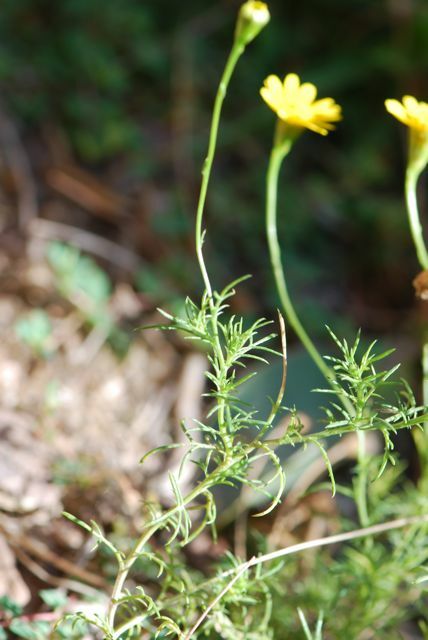 Two species found in gardens are Thymophylla tenuiloba, sometimes called Dahlberg daisy, and Thymophylla pentachaeta, also called dogweed. 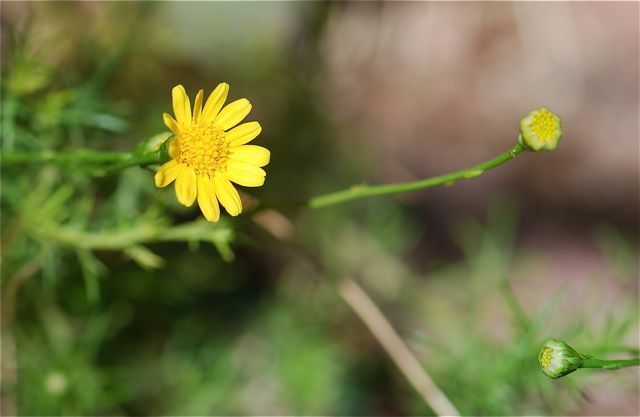 Plants of both species are small, low to the ground (up to seven inches tall) and have bright yellow daisy-like flowers. The leaves are lacy, almost like tiny pine needles. The leaves of Thymophylla pentachaeta have a gray-green color, Thymophylla tenuiloba are greener. 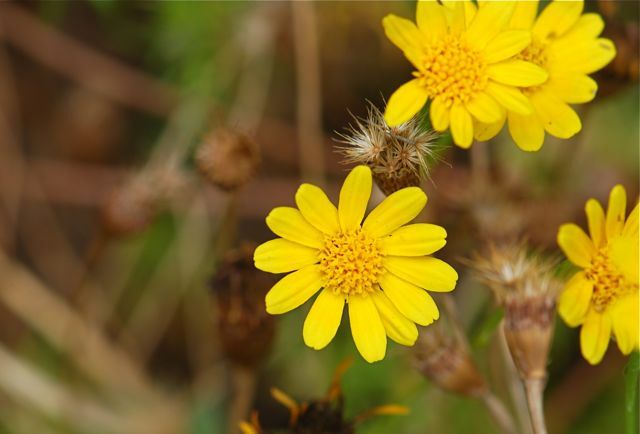 The plants are native to the desert Southwest, and thrive in low water conditions. 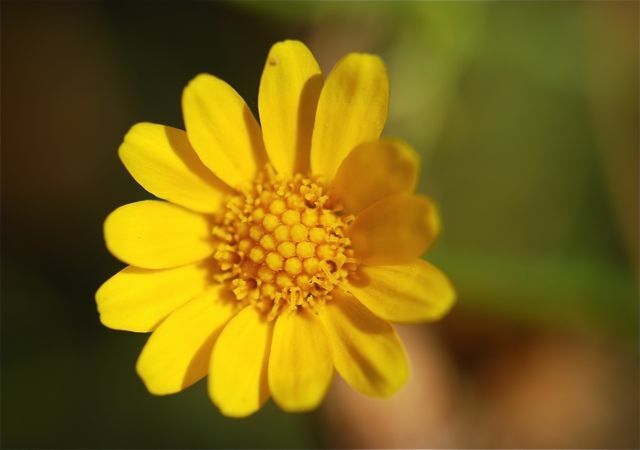 These two species are short-lived perennials, but are often grown as annuals. Golden dyssodia flowers produce numerous clusters of seeds and reseed readily. The seed heads almost look like tiny flower vases. The leaves have a sweet, tangy smell. Golden dyssodia would be a great addition to a scent or sensory garden. Have you seen golden dyssodia? Do they grow where you live?